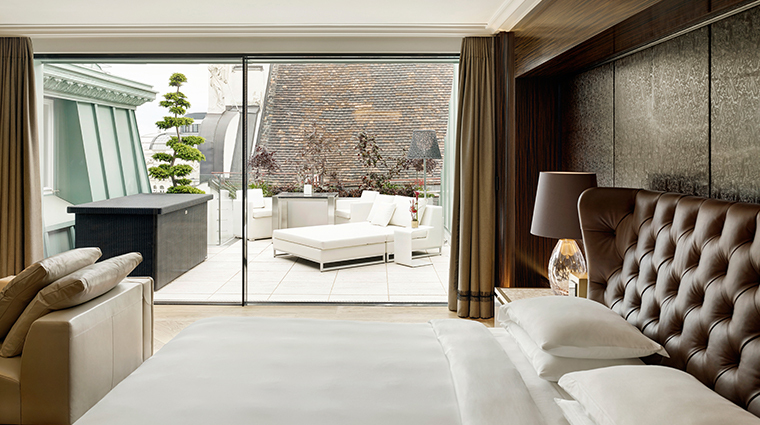 Standing stately and discreetly in the heart of Vienna’s old town, Park Hyatt Vienna blends in among its UNESCO World Heritage Site surroundings. 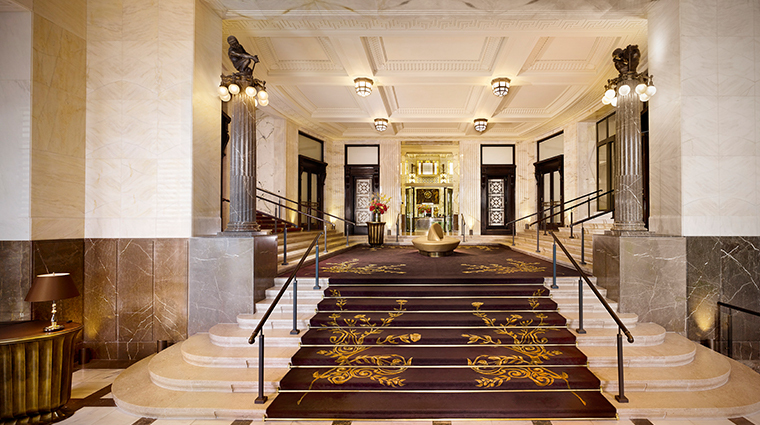 The luxury hotel takes up residence in a grand former 19th-century bank headquarters. 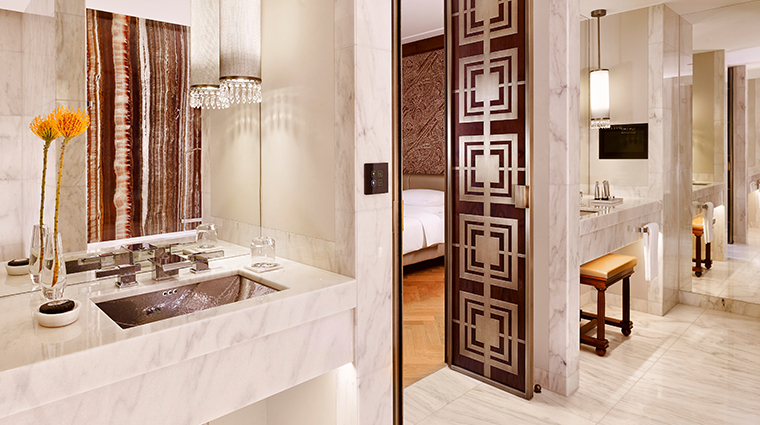 It retains its elegant imperial touches, with lots of marble, brass, wood paneling and alabaster throughout the property. 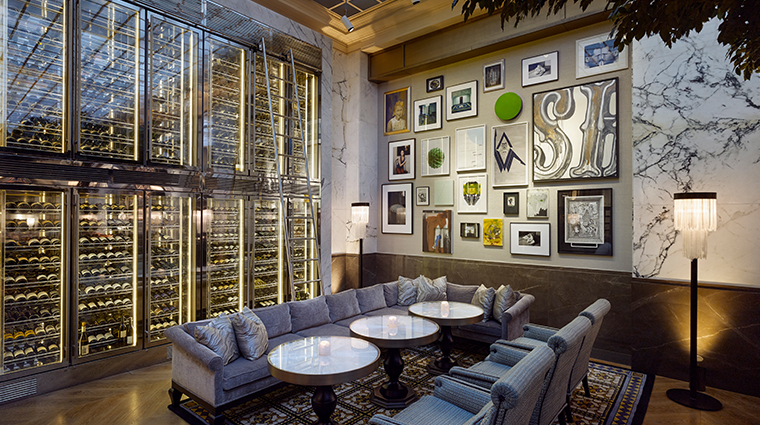 The unique oversized wall art in each room is based on a Wiener Werkstatte-designed brooch and symbolizes the hotel’s connection to local crafts. You’ll encounter the familiar pattern throughout the property’s decor and can even purchase a brooch with the same design. 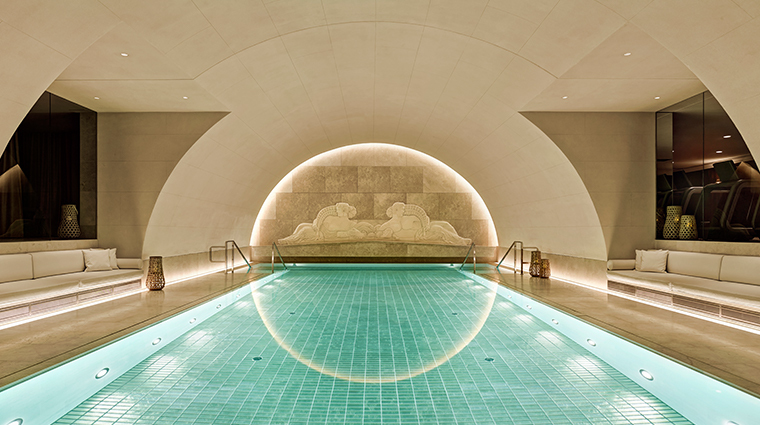 Of course the Park Hyatt also adds updates for the modern traveler, including a spa, a 50-foot indoor pool, a gym and a 24-hour business center. 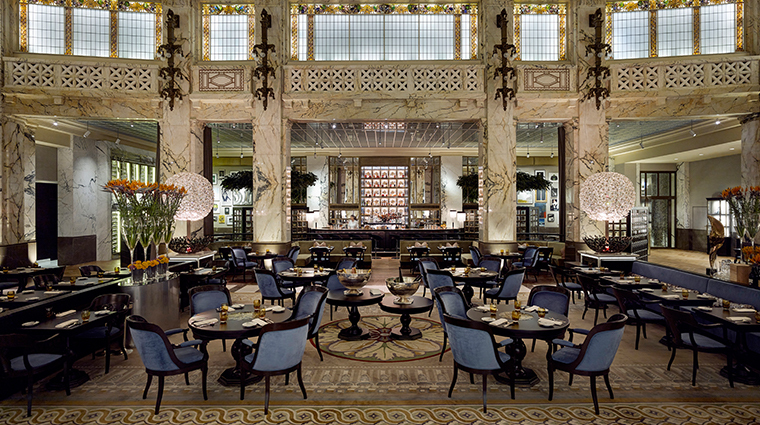 Infused with all the grandeur and imposing architecture of a royal building, but warmed inside by the friendly staff and modern details, particularly in its bank-themed cocktail bar, the Park Hyatt exudes timeless elegance. The property’s location is superb, situated right beside historic Freyung Square and looking out over Am Hof, a popular tourist destination and home to a famous Christmas market. It doesn’t get more central than this. 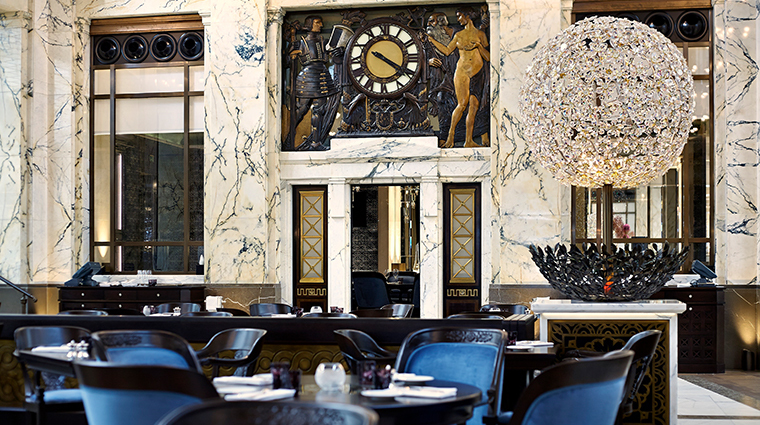 The Bank Brasserie & Bar blends the imposing bank setting with inviting meals and on-theme drinks. 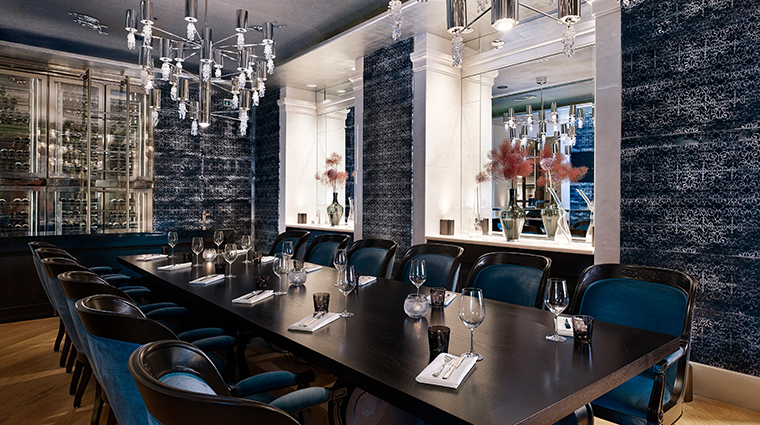 This is the spot for a pre-dinner cocktail or an evening of elegant Austrian cuisine. 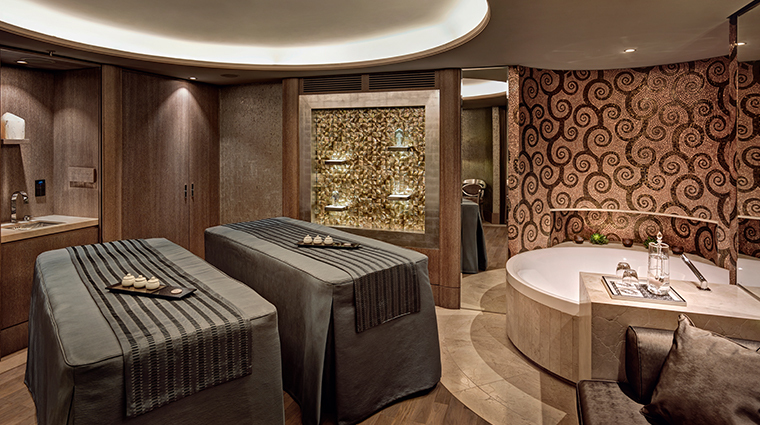 The in-house spa is in a transformed bank vault, with underwater music calmly piped into the pool for ultimate relaxation. 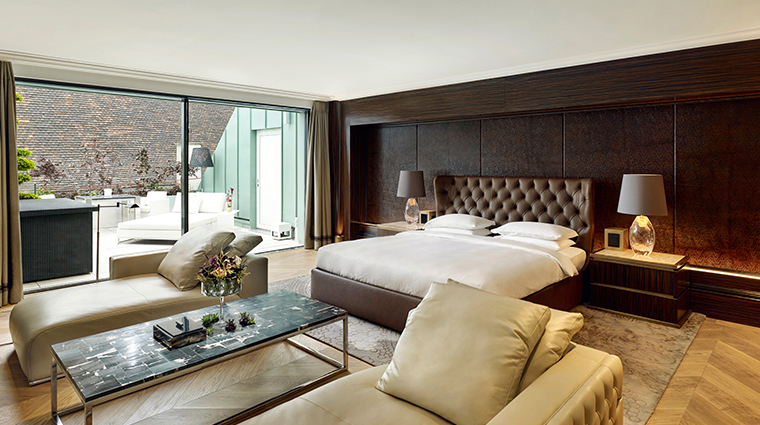 Shopoholics will be in retail heaven at this centrally located hotel. 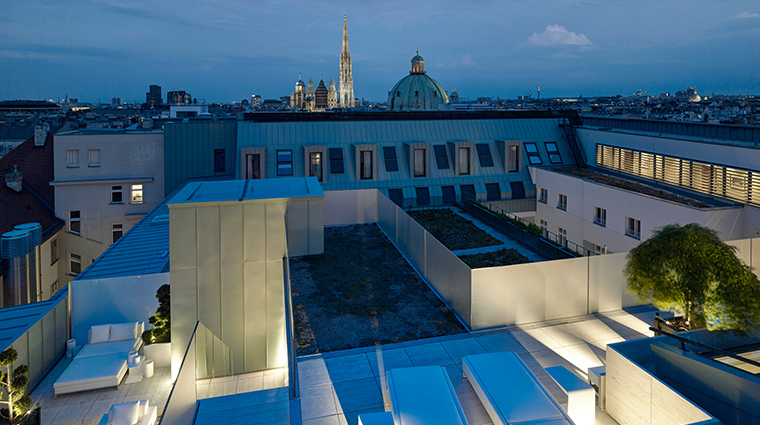 The Vienna property is next to luxury boutiques from brands such as Prada, Alexander McQueen and Roberto Cavalli. Don’t miss the lemon tarts at Café Am Hof, located downstairs. 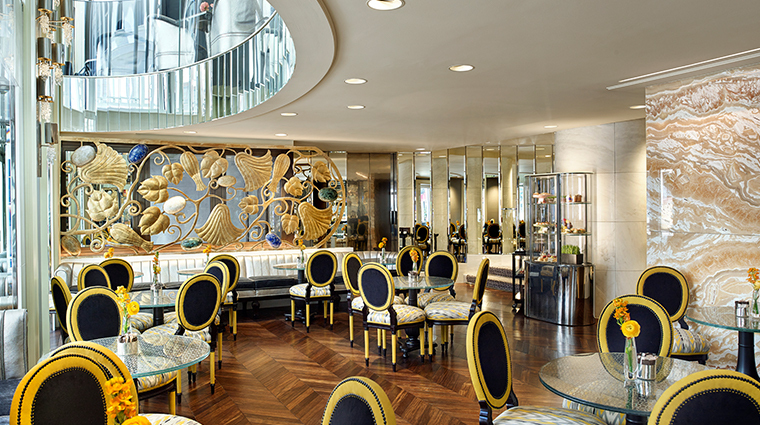 Helmed by a heralded baker, the café serves up delicate pastries and cakes that can compete with the best of Vienna’s coffee houses. 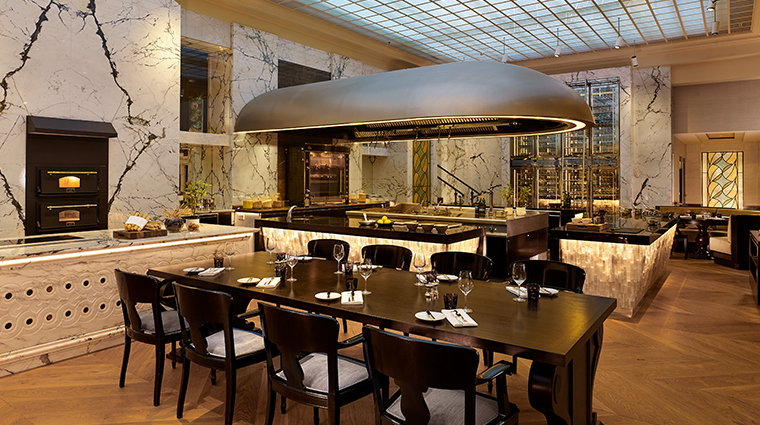 For an extra exclusive dining experience, reserve the chef’s table at The Bank Brasserie. 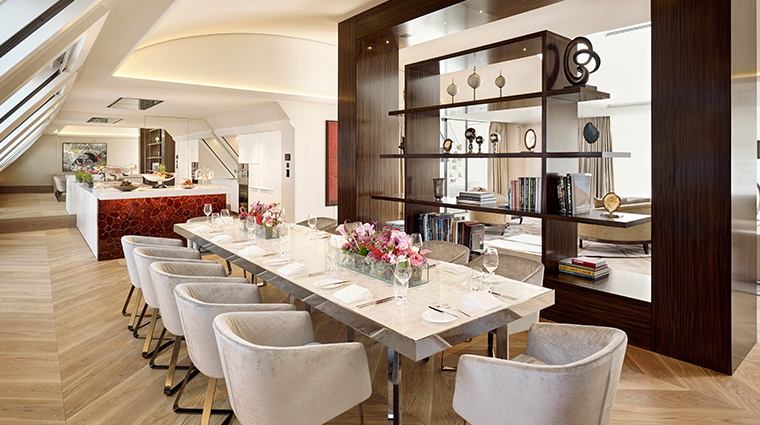 Situated between the two show kitchens, the sensational spot offers room for eight to enjoy a family-style meal served personally by the chef de cusine. 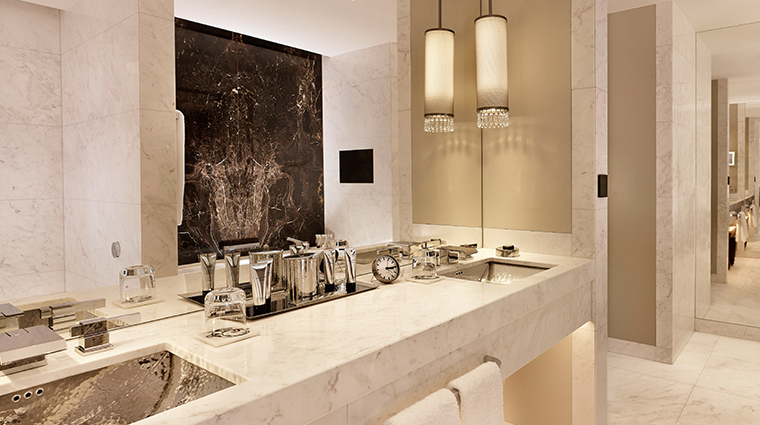 Suites 104 through 146 offer the best views of Am Hof square and a select few even have a bathtub overlooking central Viennese streets. The Golden Quarter hotel is pet-friendly. It offers a “very important dog” service, which gives your canine a dog bed, water and food bowls and a welcome amenity. Spacious and practical, the suites in the Vienna hotel allow for room to work at your oakwood desk or unwind in a lounge area furnished with comfortable leather sofas. 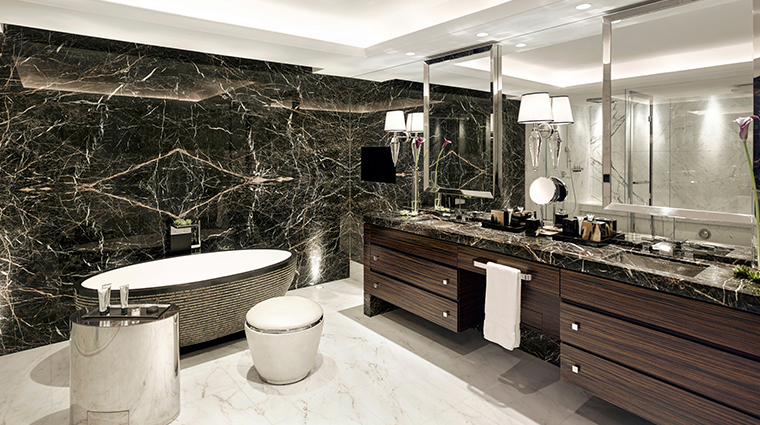 The stylish bathrooms have white marble with hammered his-and-hers sinks, heated floors, waterfall showers and bathtubs. All modern amenities — air conditioner, TV, Wi-Fi router, plugs and the well-stocked mini-bar — are hidden behind the original fireplaces and behind the room’s elegant furnishings to keep the spaces feeling classic. Despite the busy location, double-glazed windows mean that your room is enveloped in calming silence, even when Christmas markets or seasonal festivals are being celebrated right below your window. 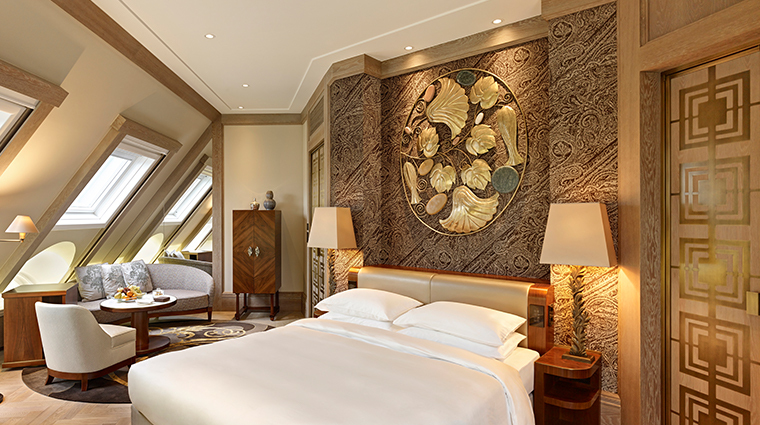 Elegant and refined, the luxury hotel exudes a sense of calm that draws people in. 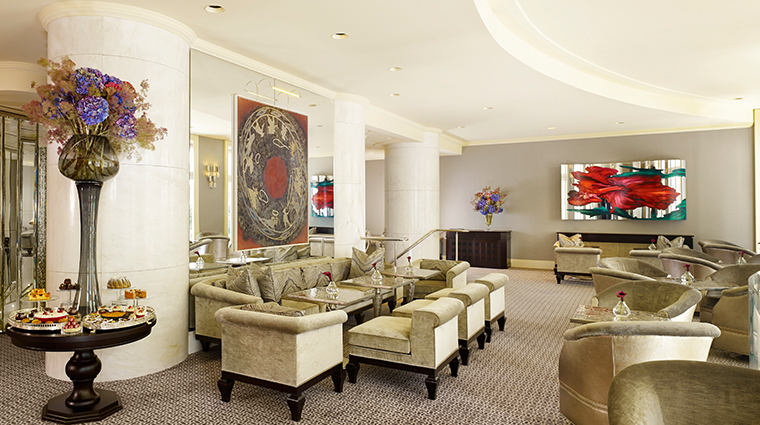 You are as likely to meet diplomats in the cigar lounge as local celebrities in the cocktail bar. 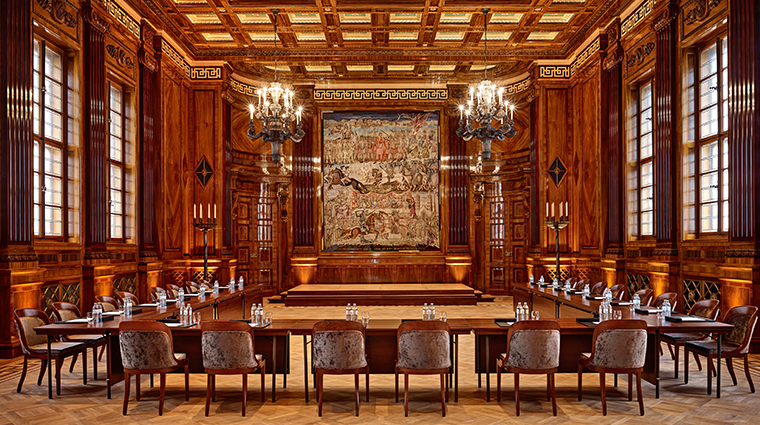 Wide, richly carpeted hallways and high wooden ceilings maintain the imposing grandeur of the bank’s original architecture, painstakingly refurbished between 2008 and 2014. 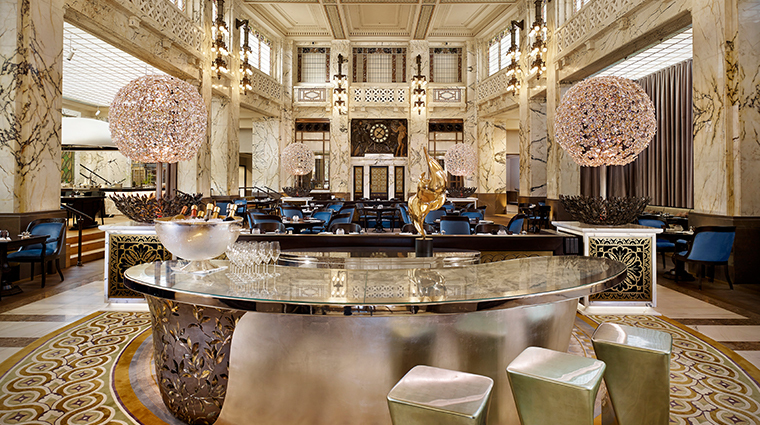 Set inside the former cashier’s hall amid lots of marble and sparking chandeliers, The Bank Brasserie & Bar has a lively atmosphere with many locals enjoying the extensive cocktail lists alongside hotel guests. Historically accurate and grand meeting rooms of heavy oak wood and glittering chandeliers offer an event space with dramatic style.